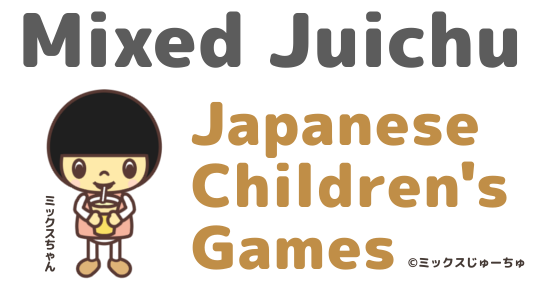 Japanese Children's Games - Mixed Juichu | This website introduces Japanese children's games. 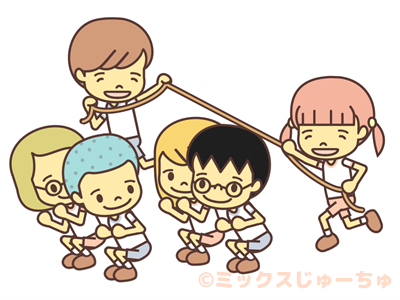 In this website, we introduce Japanese children’s games. Maybe, you have similar games in your country too. Children can enjoy games even the country or culture is different. There will be children’s playground all over the world, in many places. We prepare the surroundings to all children that they can do many games and know many games and that they can choose whatever they want to play. 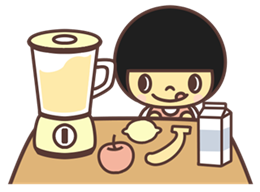 Representative of this website “Mixed Juichu”. Have two children. Administrate and manage this website. My dream is making surroundings that all children can do many games and know many games and that they can choose whatever they want to play. I don’t understand English. 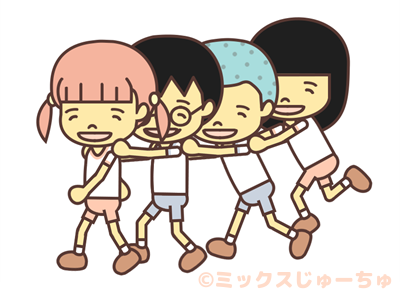 So if you want to contact me, please send e-mail in Japanese. Have two children. Translator. English teacher for Japanese children. Lived in Australia in the childhood. Always ran around outdoors with barefeet and often climbed trees in those days. Love places that you can play as you like. 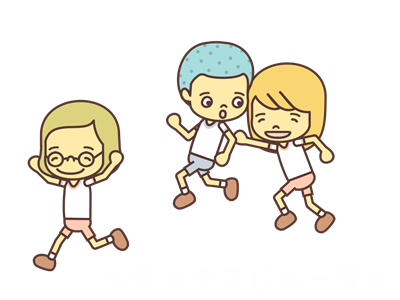 The mascot character of “Mixed Juichu”. Four years old girl. About the damage, troubles, or any other matters which occurred by having used the service of our website, we shall take no responsibility.